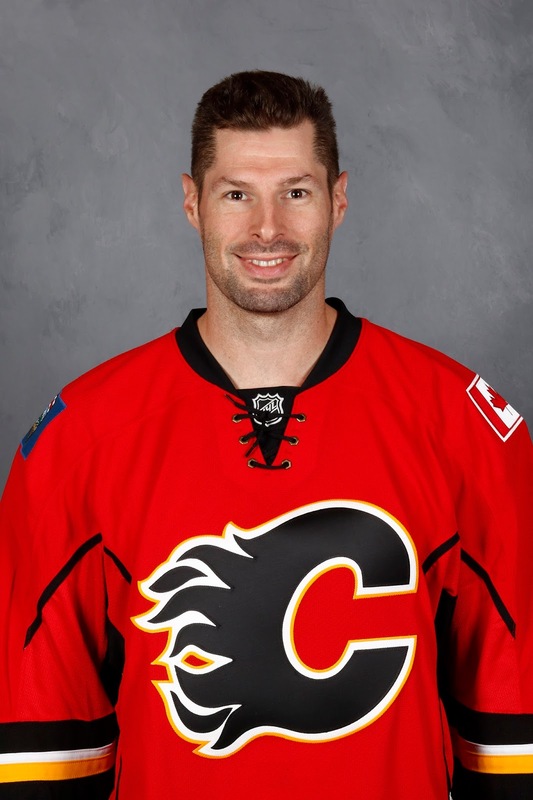 The summer of change at the Scotiabank Saddledome continued this week with the buyout of Troy Brouwer. While headline additions James Neal, Elias Lindholm and Noah Hanifin will all factor into Calgary's core, an overlooked area that has also been extensively remodeled this off-season is the fourth line. Longtime centre Matt Stajan, 34, became a free agent after the expiry of his four-year deal. It's not looking like Kris Versteeg, 32, will be back. Now Brouwer, 32, is also gone. All three veterans spent considerable time, if not all of their time last year skating on the fourth line. While the 10th, 11th and 12th forwards will never adorn the cover of the team program, it's an area that has increased in importance given the speed of the game now and how condensed the schedule is -- the addition of the five-day bye week further compounding that. 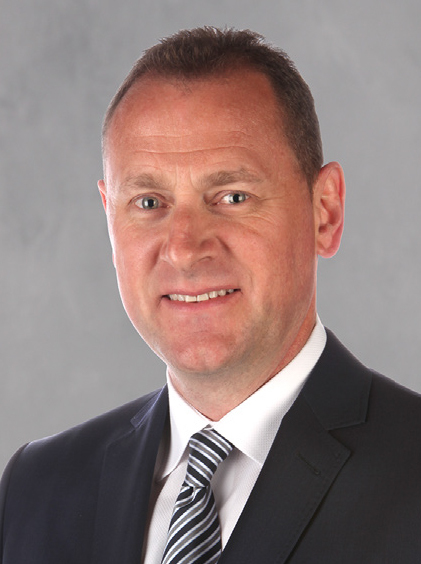 I spoke with general manager Brad Treliving about the departure of Brouwer, his philosophy on how the fourth line should ideally be constructed and on the overall state of the roster with training camp just six weeks away. "The style that we want to play, which is very up-tempo and is the way the league is now, it's very pressure-related and you need four lines," says Treliving. "You can't rely on one or two lines to play 20-some minutes, a third line to play 11 and then three minutes for your fourth line. Those days are gone. The schedule is too taxing, it's too compressed and every game is too important. You just wear people down." He says ideally fourth line players need to contribute in multiple areas. "You need to be very competitive, you need to have tempo and pace, but those guys may need to take a bite out of one of the special teams too. You have to have a guy that kills penalties on there and maybe a guy that plays power play." The battle to make the team at forward will be one of the more interesting competitions in training camp with as many as 10 guys having a legitimate shot at those final 4-5 roster spots up front. "I look at our fourth line right now, I think there's going to be lots of competition for it. It's going to be very competitive in the style of game, there's going to be tempo and pace, and you need goals and production from throughout your line-up," says Treliving. "A big part of what we've tried to accomplish with our forward group this year is giving ourselves more depth offensively. We've relied on too few to do too much and carry too much offensively." Case in point: Outside of the top six forwards in goals last season -- Sean Monahan (31), Matthew Tkachuk (24), Johnny Gaudreau (24), Micheal Ferland (21), Mark Jankowski (17) and Mikael Backlund (14) -- all other forwards combined for just 45 goals in 531 games. In today's NHL, the top players are going to get paid so teams need to be pragmatic with how they approach the salaries of the supporting cast. "Although the cap keeps growing, the top end gets the lion's share of that. That's a function of the system," says Treliving. "So if your top-end guys are making the higher-end money, somebody has to make lower-end money. There's only x amount to go around." While each of the deals ended up being for less than $1 million, they each took a long time to get done. Kulak's case ended up going all the way to a hearing and ultimately an arbitrator's decision, while the other two nearly reached the arbitration room. "Not criticizing the player, but if your role is on the fourth line, the compensation has to fit that role," says the GM. Treliving predicts that in the future you will continue see more and more RFAs with arbitration rights not qualified if you feel they're ultimately going to warrant a salary that doesn't align with their projected usage. "People will wonder why Joe Smith didn't get qualified as he's a pretty good player. That doesn't mean the team doesn't think he's a pretty good player, but you know going in, prior to qualification, that once you qualify him, he's got arbitration rights, you don't necessarily have to go through the hearing to know pretty close what the decision is going to be," says Treliving. "It sounds like geez, they're fighting over small money, but if you think a guy fits into a box that needs to be a minimum box, it's hard to go and pay that guy $1.5 or $2 million dollars. It doesn't seem like a lot, but all of a sudden your salary structure is out of whack." Treliving's decision two years ago to not qualify Joe Colborne, despite a 19-goal season, is an example of this. He would have been in line for a salary of well over $2 million had it gone to an arbitrator. After signing a two-year deal with Colorado for an AAV of $2.5 million, he scored only four goals his first year and he spent last season in the minors. The fourth line can also be a place where young guys cut their teeth in the NHL, although Treliving says to get that opportunity, young players must first establish that they have certain attributes. "No. 1, physically. Can they physically withstand it? You never want to put in a young player where they might get injured. Are they physically fit and strong enough to compete against men? "No. 2, can they think it? Can they think the game at the NHL level. You take every other quality and those qualities can be enhanced if you're smart enough. Guys that aren't maybe the fastest players look fast or can play smart because of their hockey sense. "No. 3, the speed element of the game. You've got to be able to play at an NHL pace and do things at an NHL pace. "If you can check those three boxes then yeah, you can put a young guy where OK, we can manage him a little bit here. They can be introduced to the league in a lower-line role, but they've got a building base to their game." It became official on Friday. The Flames bought out the final two seasons of Brouwer's four-year deal in which he was owed an AAV of $4.5 million. The result is Calgary will be charged $1.5 million against the salary cap over the next four seasons. "This is not a reflection on the person. For whatever reason, it just didn't work," says Treliving. "Troy is a pro, he would be the first person to tell you that he's disappointed that it didn't work here. It wasn't for a lack of wanting it or try or anything like that." Brouwer was a free agent who Treliving pursued hard two years. With that he was forthright in falling on the sword. "I'm a big believer in accountability of everybody and it starts with myself. I take responsibility for this," emphasizes Treliving. "This is a guy that was signed to the contract he was signed to and I'm the one that signed it." It wasn't supposed to end this way. "We pride ourselves on doing all the work (beforehand) that we have to do to get the information that you need to get. When we signed Troy, we looked at the positional need, we looked at Troy's background, we felt there was going to be a really good fit here for us." But it never worked out in the end. In fact, it didn't work out in the beginning or middle either. "Did he produce to the level that we had hoped and expected? No. But it wasn't just production that we were bringing him in for. Shooting it in the net is part of it, but there were other parts of why we thought Troy would be a really good fit here," says Treliving. "I don't want to say he didn't fulfill a lot of those areas, it's just that now, when you look at the make-up of your team, and Troy and I talked about this at the end of the year. The role and there's responsibility on us and there's responsibility on him to do more and have a bigger bite of the apple here." When the NHL's first buyout window came and went shortly after the Stanley Cup final ended, Treliving was not yet sure how much of his desired off-season changes he was going to be able to actually deliver on. But based on the work he has been able to get done, in particular the influx of new faces on right wing, it became apparent that having a "bigger bite" wasn't going to be on this season's menu. Thus, when the filing of salary arbitration cases opened up a second buyout window for Calgary, the team took advantage. "We said if you're going to be in a situation where you're playing in a reduced role or a reduced situation for other reasons, well that's not what he wants and it's certainly not what we want, and it doesn't really fit in our salary structure to have someone make what he's making, playing in a reduced role," explains Treliving. "In today's cap world, your boxes have to line up. Those that are making more, have to take on greater roles. That's just a fact of life here. "Both from a team-building and make-up standpoint and then to manage your financial picture and your cap moving forward, we felt this was a decision based upon where we sat right now that made the most sense for us. We've got certain contracts that you project into the future and having that flexibility the next couple years we think is important." The one obvious area where things didn't pan out is offensively. When Brouwer signed two years ago, he had scored 140 goals in previous seven seasons, an average of exactly 20. Over his two seasons in Calgary, he scored only 19 times. An environmental factor to take into consideration is the evolution of the game. The NHL continues to get faster and faster and Vegas' success last year with their high-octane style of play is sure to be an additional accelerant. "That's probably fair," said Treliving when asked if that played a role. "We're trying to not look at what's happening today, but what's happening today, tomorrow and where the league is going. Did it play a little part in terms of where the game is going and how quick the game has become and maybe that's not a strong suit of Troy's? To a certain extent." I also asked the GM about the ability to be a leader on a team when you're playing in a reduced role and whether one affected the other. "I don't want to speak for Troy, but if you ask any leader on any team, it's hard to demand more of everybody else, if maybe your game is not where it needs to be," says Treliving. "These are proud guys. They want to make sure they're taking care of their sandbox. It's hard to look to the next guy and kick him in the rear-end when maybe it's not going as good as it can or should be going for you." Then there was the inability to develop any chemistry. Paired up with Bennett in his first training camp, the two looked great in the preseason but that was as good as it got. The Bennett-Brouwer partnership fizzled in the regular season and bouncing around the line-up after that, he never really found traction with anyone else. "You do all your homework, but sometimes fit and chemistry and mix, people don't talk about it, but it's so, so important. For whatever reason, we just couldn't find a consistent fit," said Treliving. As a GM, every move isn't going to work out. The most parity in hockey is at the front office level where you've got 31 experienced and competitive hockey men, each determined to win every trade they make and go unbeaten on every free-agent signing. While this is one transaction that will go in the loss column for Treliving, he says you can't dwell on it. "You have to deal with it and you have to learn from it, but you can't hide from it," says the GM. "You don't want to, but you're going to make mistakes along the way. I'm not calling this a mistake, but you don't want to be in a situation where you're buying guys out so you have to figure out and learn from it and certainly be better the next time." Treliving underscores that you can't let it paralyze you. "This job is walking on a high-wire act. You've got to be diligent in your information. You've got to source and dig-in and outwork people but at the end of the day, you still have to make decisions. The time that something hasn't gone your way, you have to deal with it, up front, as quickly as you can. But you can't become gun-shy. "It's the analogy that if you step into the batter's box and it's that one pitch that comes at your ear. If now you're backing out of the box, you're not going to hit the next one. So you've got to be determined to get back in, dig into the box, and be ready to take your next cut." The GM already has in the signing of Neal, 30, to a significant five-year deal at an AAV of $5.75 million. Neal is the same age as Brouwer was two years ago when he signed in Calgary. The Flames are going to be a vastly different-looking team in 2018-19. From the roster that concluded the season, nine players are gone as well as the head coach and two assistants. In particular, there's been an infusion of new bodies up front and while there is much intrigue around how the top-nine will shape up -- will Neal and Tkachuk have a chance to wreak havoc together, or will Neal slot in with Gaudreau and Monahan? Does Lindholm have a chance to ignite his offensive game on the top line, or does new coach Bill Peters try him alongside Backlund, a fellow Swede. Does newcomer Derek Ryan push Mark Jankowski to the fourth line, or does Jankowski muscle his way back into the top-nine and shove Ryan to a wing. Does the 3M line end up split up? And of course, there's the annual question of where does Bennett fit into all of this. But there's just as much intrigue about the Flames fourth line. Looking back over the last six or seven seasons, you see names like Lance Bouma, Brandon Bollig, Josh Jooris, Steve Begin, Alex Chiasson, Tim Jackman, Tom Kostopulos. There haven't been many goals from that bunch. It feels like this year could be the start of something completely different. Imagine if Bennett or Jankowski are pushed to the fourth line -- two young guys with untapped potential still. Newcomer Austin Czarnik, a prolific scorer in the AHL, enters the season on a one-way deal. Prospects Andrew Mangiapane and Spencer Foo are both skilled guys who saw NHL time last year. While Garnet Hathaway and Curtis Lazar remain, the personnel is going to look different with the potential to look very different -- and all while taking up a far smaller percentage of the team's salary cap. If Calgary can get more for less from the fourth line, that's a good start as the Flames are going to need improvement in multiple areas in order to get back into the playoffs in the competitive Western Conference. "You don't try to be hasty, you don't change things just for the sake of changing it. You hope that you go in with a level head, that you're making decisions that are backed by fact and backed by substance, but until the rubber meets the road, you never know," says Treliving. "But we've made changes based upon where it makes us better but also with the knowledge that we weren't good enough last year and we needed to make changes." The Flames are a vastly different team now. That part we know. We'll have to wait a few months before we know if they're better. Great article/blog. I hope you can find something less tenuous for your platform. As for me(I know no one asked), I think Treliving did a great job in the offseason. One big change that I think most people are overlooking is the hiring of Geoff Ward as an Associate Coach, not an assistant. IMO that is a huge add. I am not a fan of Treliving's UFA signings generally. I just hope James Neal ends up being closer to the Derek Engelland signing than the Mason Raymond signing. I hated the Hamonic trade, and a lot of people were telling me he was fair value. However if Tre trades another first round pick without knowing the draft order he needs to be fired imo. Noah Dobson + for perhaps ten years or Hamonic for three? That deal could have long-term negative value. If Dobson doesn't work out it is still a foolish gamble trading an asset you don't know the value of. Cheers and thanks for the article. The Hamonic trade is as simple as if you want an immediate top-4 D, then you're going to need to trade a draft pick that five years down the road 'might' become that same thing. In hindsight, it seems like a bad idea because of how the overall season went, but last year was supposed to end with a playoff run, that's why they made the deal. His three years of term at a very reasonable AAV also meant it would cost more to get him as cap space is a commodity. Regarding Raymond, one of his buyouts, he made that signing while he had yet to figure out where his office was at the Saddledome. I don't doubt he had others whispering in his ear on that one. His other buyout was Lance Bouma, who he signed after getting in that arbitration trap, hoping that would be the best of the various options of what could happen at that point. It was the wrong choice and I think how he has operated regarding qualifying RFA guys with arbitration rights since (see Joe Colborne) is proof that was a live-and-learn moment. Geoff Ward is an interesting addition, indeed. I look forward to meeting him and picking his brain. Hey Darren, thanks for the response. I very much appreciate the opportunity to discuss the Flames. I am not a guy who posts on bulletin boards. On the Hamonic trade: I do understand the rationale. Simple? Not for me. I didn't like it at the time, not just in hindsight. I was in the minority of people who still saw the Flames as a bubble team who got hot goaltending at the right time under Gully and who got lucky under Hartley to make the playoffs in two of the previous three seasons. I viewed Hamonic as an average top four defenseman, and still do. Agreed he was under a friendly contract, but the Flames were in a bidding war for him and there is no debating the Flames paid more for him than they would have otherwise. That is never a good thing. Beyond that, Treliving didn't know what he was giving up in that deal. Burke did the same thing in the Kessel deal and should have put his foot down imo. I look at it like this: you inherit a ring from your grandmother and it has a red stone. It could be a garnet or a ruby. If it is a garnet it is obviously worth much less. So without an appraisal you sell it for what you think is a good deal for a garnet ring. Then it ends up being a ruby. In that case I ask, what kind of a moron would trade something without knowing the value of it? Hard (impossible) for me to get past that. That is the nadir of the trade for me. I am familiar with the long-term odds of a player making it dependant on where they were drafted, but those odds have been calculated over the long-term. IMO those number have transitioned. If a guy does the math starting ten years ago the odds of getting a significant player within a couple of years in the first or even second round is a lot better than it was. Lots of good players coming out of less traditional European countries as well as/especially the USA in the last decade. I didn't mind the Bouma buyout. He had a good year and got overpaid, but he had other attributes. After the Super Bowl hangover fiasco with Johnny and Monny, I wanted him gone. There will always be the question of how much autonomy Brad had while Burke was around. Can you be the boss of the guy who hired you? One thing that is certain is that this summer was ALL Tre. He has the team now, and it shows, I think.